Archangel Gabriel is among people. Is it true or not? There is an interesting question: if someone approached an average man, say, 2020 years ago and said he was God’s son, where the average man would tell him to go…?! The second advent of a saviour has been awaited in many religions for millennia. It is evidenced by numerous prophecies which are specific for every religion, but basically come to one and the same point that at the end of times a saviour will arrive and help the lost humanity to save itself. However, such saviour will hardly stand in a market square and shout about himself into megaphone. And if he does, who will believe him? You can’t disagree not many people recognized Jesus 2000 years ago. Thus, how can we understand who is the saviour, and who is a mere quack? These are exactly the issues which a team of independent analysts started to address, when The Meaning of Life: Immortality video appeared on the internet a month ago. At first, the analysts were interested not in the video itself, but rather in people’s responses to it. Many people saw something like a nimbus around a person’s head, similar to that saints are portrayed with on icons. This could surely be attributed to special video effects to attract the audience’s attention, but hundreds of people who viewed the video also told about miraculous recovery from various diseases, improvement of their material life, family relations, etc. Yet, first and foremost, many felt bliss, joy, love, happiness, etc. And such a strange phenomenon awoke the biggest interest of the independent analysts. In the beginning, the video was reviewed by the team of analysts themselves dozens of times. Thereafter, the reaction of many people, as well as their mental, emotional and other states, were studied. Particular attention was paid to the health status prior to, during, and after the video viewing. It was recorded that the video favourably influenced the overall condition of people. Almost everyone observed an energy surge after the viewing. People mentioned they felt an unprecedented ease, gladness, and desire to live. Dozens of health recoveries were investigated, including recoveries from oncologic diseases. We can’t speak of full remission due to the short time period past after the video viewing, but we do can assert that former patients feel themselves healthy. So, what do viewers actually see on the screen? Well, nothing special. Professor, academician Igor Danilov is sweetly talking with Orthodox priest Father Sergey about life. The programme host is asking both of them questions relating to the sense of human life, and they are responding. The first thing that attracts the viewer’s attention is the ease at which Igor Danilov is explaining points vitally important for every human being. The second is simplicity and clarity of what he is saying. And the third and most important one is what you feel while he is speaking. The majority of people were crying during the last 30 minutes of the programme, although Mr. Danilov was neither telling anything special, nor provoking such emotions by his words. Many people came to understand clearly why they lived and how they should live further. Thereafter, the analysts encountered further more interesting and mysterious hypotheses. In particular, it was found out that AllatRa TV had been called in such a way owing to the AllatRa book by Ukrainian author Anastasia Novykh who had written 7 other books on the same subject, prior to this strange-named book. The main character of the books, Sensei (martial arts teacher) whose name is Igor Mikhaylovich (the latter is his patronymic), is sharing staggering knowledge with his disciples. Our preliminary investigation indicates that a single person is simply unable to possess such knowledge in its entirety, since it is so fundamental and simple in understanding and presentation at the same time. We won’t give the contents of the books here: one who is interested can read them on the internet. We can only say that, having thoroughly analysed the contents of all eight books, we can draw the following conclusions. Sensei, Igor Mikhaylovich, or Igor Danilov is no one else, but Bodhisattva, Rigden Djappo, or Archangel Gabriel (if we call him in the Orthodoxy language). Later on, we found out similar conclusions had been drawn as long ago as in 2009 on Kuraev’s Orthodox forum. There, they presented the subject as a newly emerging sect headed by Igor Danilov. 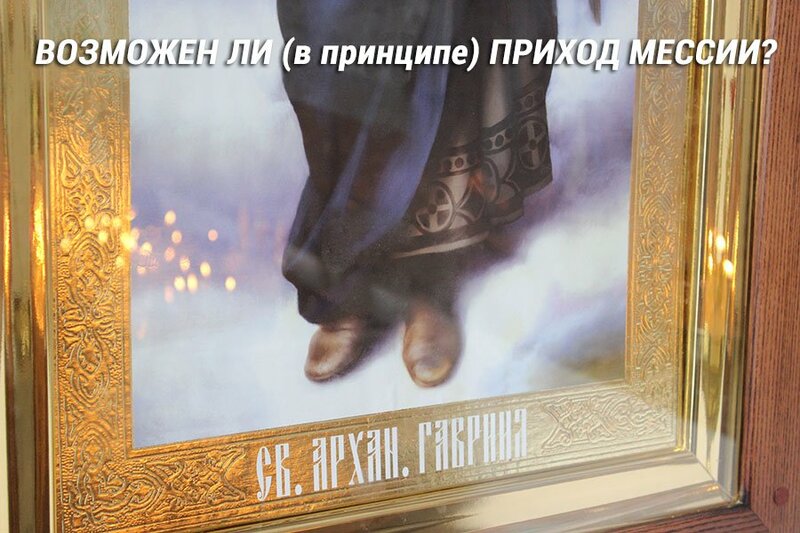 We visited Igor Danilov’s clinic located in Kiev Pechersk Lavra and attempted to ask him various provocative questions regarding Archangel Gabriel and Anastasia Novykh’s books. He responded that his name had accidentally coincided with the name of the main character of those books, and the very reason he had agreed to participate in AllatRa TV programmes was to debunk the vexatious myth. For justice sake, we should say we noted no single word said by Igor Danilov during the TV programmes regarding his involvement in A. Novykh’s books. Yet, for those who have read the books and heard Mr. Danilov’s speech in the aforesaid programmes, there can be no doubt: this is 100% him. In such case, why “the leader of sectarians”, as Kuraev’s forum calls him, denies his involvement in the knowledge given in Anastasia Novykh’s books? Analysis of historical facts and prophecies has allowed us to rest upon the following outcome and hypothesis: do Igor Danilov and the spiritual beings of the ancient history, such as Rigden Djappo, Osiris, Ptah, Ahura Mazda, Quetzalcoatl, Archangel Gabriel, Angel Jibrail, and Agapit of Pechersk, embody one and the same “person”? THIS IS EXACTLY WHAT WE ARE TRYING TO CONFIRM OR REFUTE. One of the website principal pages is Project aim. Preamble, where newly discovered information is accumulated and updated. Everyone who is not indifferent is invited to help in our search. Videos are uploaded on the following pages: A Frank Dialogue about the Most Important, The Meaning of Life: Immortality, and Unity. We shall sincerely appreciate your comments and opinions as well. September 2015. Point of View: International Team of Independent Analysts.